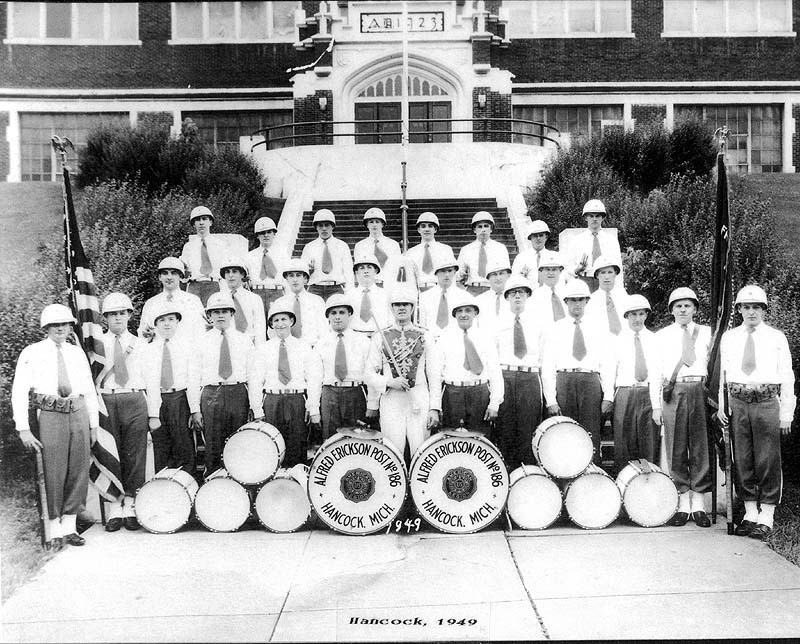 The Hancock American Legion Post 186 Drum & Bugle Corps. 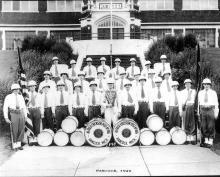 as it appeared in 1949, in front of the Hancock High School on Quincy St. (now the Middle School). 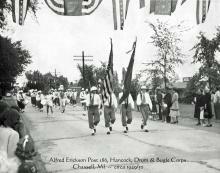 The Post Club Rooms were located in the old Grade School, near what is now the Finnish- American Center, just West of the now Finlandia Nursing Center. (Photo Courtesy of Ralph Raffaelli). This photo was found in 2015 in the attic of the Post. 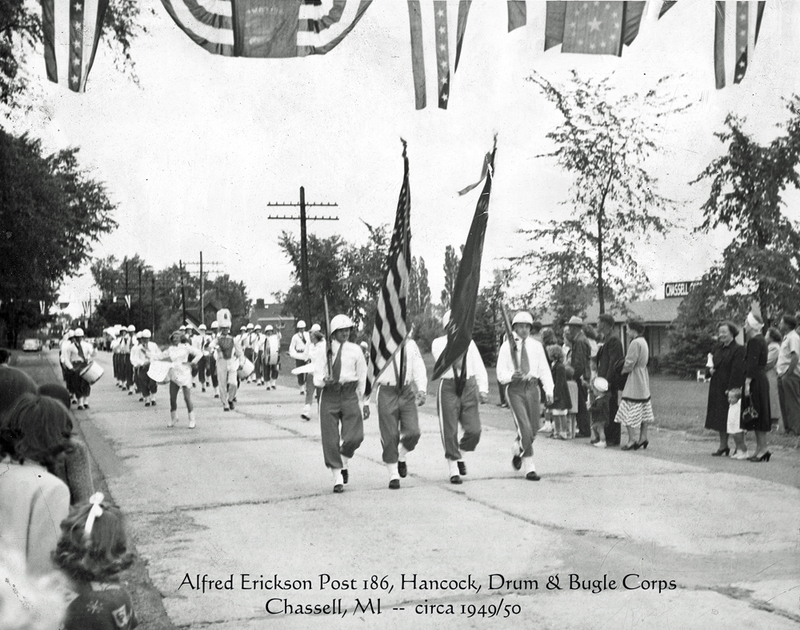 It appears to be a parade in Chassell at about 1950, with the Post 186 Drum and Bugle Corps. Note the old concrete roadway. Digital imaging by Roland Burgan, Post 186 Historian.